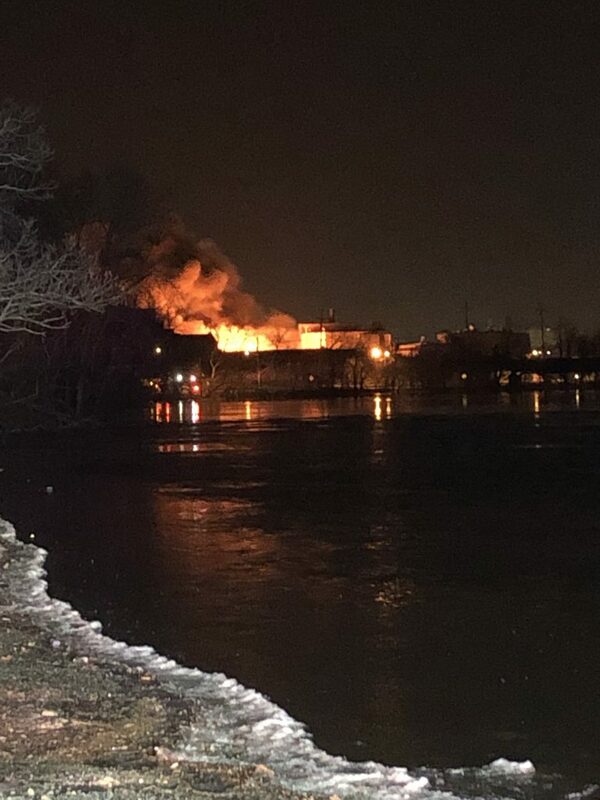 On Wednesday evening, Chief 20 and Engine 23 were requested to respond to Elmwood Park, to cover their Company 4 firehouse while they were heavily engaged with firefighting operations at the Marcal Paper Plant. Shortly after arriving on-scene, Oradell was redirected to the scene with the River Edge Fire Department, to help establish a new water supply, drafting water from the Passaic River. 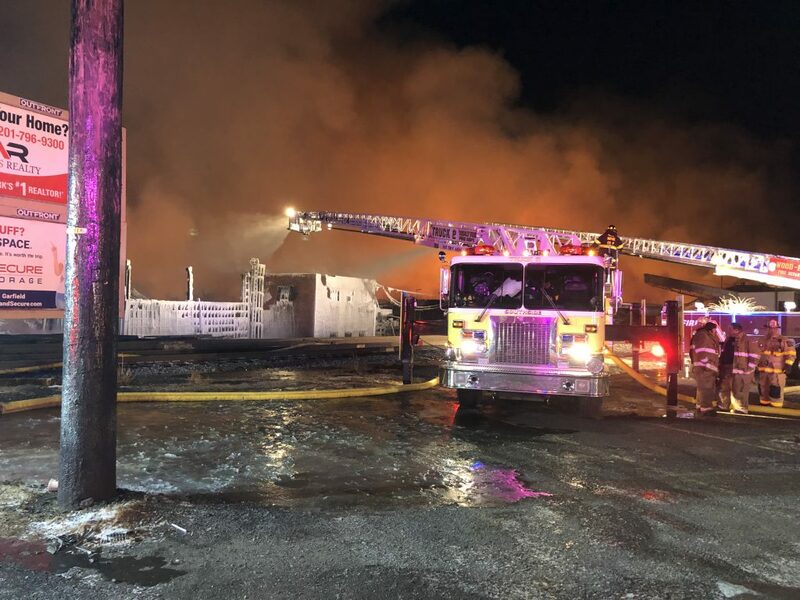 Oradell worked with fire departments from River Edge, East Newark, Paramus, and Fort Lee, to get water to a Wayne Tower Ladder for fire suppression nearly 4000′ away. Drafting and relay pumping is not the easiest nor the most glamorous task on the firegound on a 4 degree night, but water supply is one of the most critical tasks to be completed at any large fire. 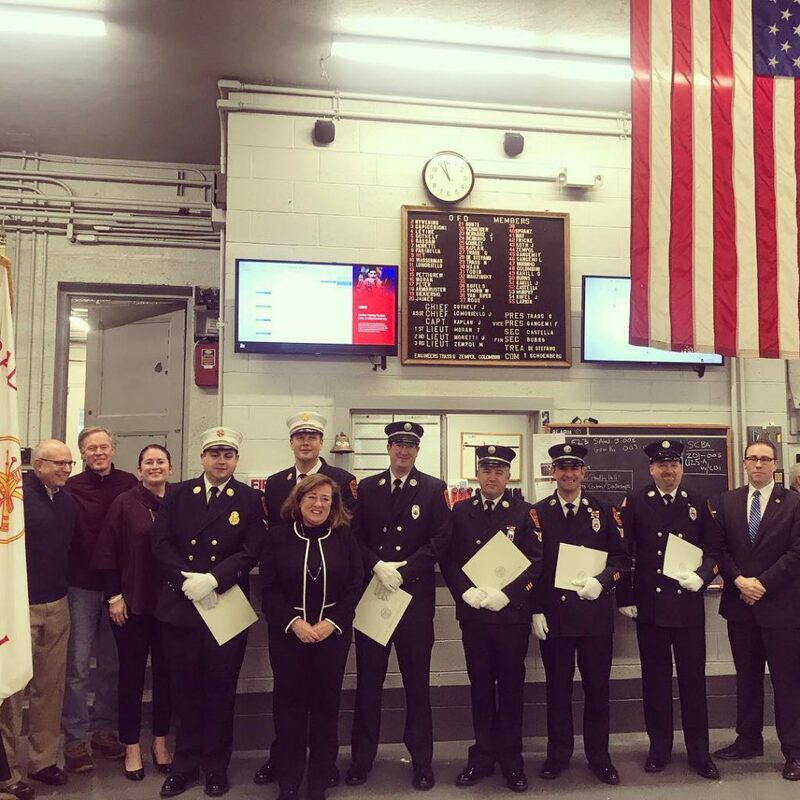 Last weekend, new Chief’s and Officers were sworn in at fire headquarters by Mayor Dianne Didio. Oradell FD is hosting a Texas Hold’Em Tournament on 12/1. Proceeds will be used to mechanically refurbish our 1928 American LaFrance Pumper – known as “Old Moe”. Register by 11/26 and receive a 500 chip bonus. Email poker@oradellfire.org Buy in is $100, re-buys allowed. More details to follow. 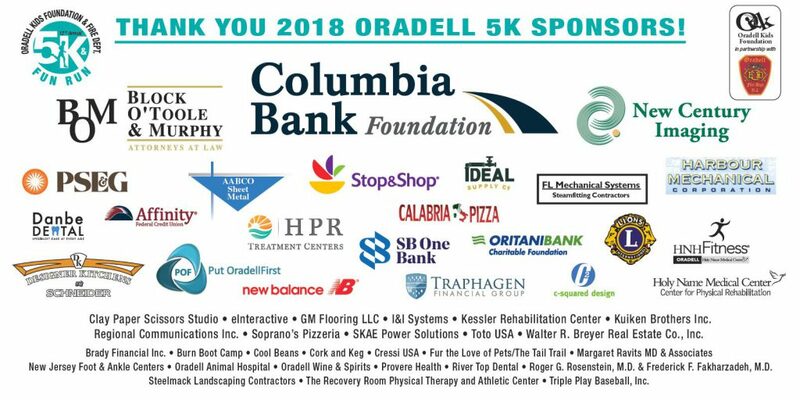 The 12th Annual Oradell 5K and Fun Run and 1 Mile Family Fun Run/Walk is sponsored by the Oradell Kids Foundation in partnership with the Oradell Volunteer Fire Department to support our schools, library, and parks. Whether you would like to compete for a medal & prizes, model a healthy lifestyle for your children, or just enjoy the family festival, there is something for everyone!